We live in a time where we need to make a conscious choice moment to moment to live a less toxic life as we are bombarded by pollutants everywhere we go, inclusive in our own homes if we are not aware. Living a less toxic life is much more rewarding than we can ever think but it requires the discipline to change habits. As Bob Proctor says, “we are a multitude of habits”. So, we can be a multitude of good or bad habits, our choice. That is the reason why we need to be aware of our choices, we need to educate ourselves on the agenda of the big corporations and make an effort to implement healthy changes in our lives. Disclaimer: This post contains affiliate links and we may earn a commission if you click them and make a purchase. This is at no cost to you, it helps to support our work and we only recommend products that we love. Some affiliate links are exclusive to the UK others to the USA. Unless you are buying these items from conscious companies all commercial detergents and household cleaners are filled with toxic chemicals that have such a great impact on our long-term health without us even realizing it. From laundry soaps to artificial fragrances we are breathing it all. Making a change for homemade or organic store bought products is imperative. The web is filled with easy recipes that not only are healthy but smell gorgeous and are cheaper. Believe me when I tell you that they are cheaper because you are paying a high price with your own health when you are exposed to the harmful effects of those chemicals. Just make some research because there are also many unhealthy recipes around. For instance, if you see a recipe that calls for essential oils mixed just with water you know that’s a bad recipe because oil and water don’t mix and in that case, you need a binder. Education is always the key. The same applies to the personal hygiene and beauty products that we use. We need to remember that the skin is our largest organ and everything we apply to it is absorbed by our body, for sure we don’t want to be feeding our skin with chemicals. If I gave you a bottle of poison and told you what’s inside, would you drink it? If not, why would you apply to your skin toxic chemical that will be absorbed and reach your internal organs? Homemade products are an easy way for you to know what is it that you are consuming, and if DIY is not your thing you can easily find healthy alternatives online. Toothpaste, soaps and shampoos, creams and lotions are not the only concerns. 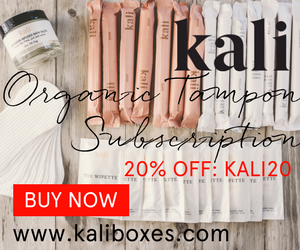 Menstrual cup, Cloth pads, Sea Sponges and organic tampons. Again, unless you are buying your food from people that consciously grow it most food nowadays are contaminated with chemicals, pesticides, and other pollutants. If you cannot grow your own organic food make an effort to make sure your suppliers only use organic products. Plastic became another epidemic! It’s everywhere and in such a disposable way… of course, let’s use some common-sense and use and re-use the ones that we already have as many times as we can and if possible find a creative way to end their lives. Not only plastic has harmful chemicals that leach into our water and food but for the most part, it is not recyclable, making it a huge and growing problem. Good alternatives to the use of plastic are glass, stainless steel, beeswax wraps, fabric, and food grade silicone. Emotional and mental toxicity are being suppressed by the use of pharmaceutical products and electronic interactions. The internet is a great thing when used in a healthy way, but we live in times when the use of the internet is trying to replace human interactions. We can work from our pyjamas, from the comfort of our sofa, blah blah blah, then people feel alone and depressed. We can have bots to replace us, then we miss the true value of the human connections. We confuse busyness with productivity. We fail to recognise mental illness that turns people into toxic bombs spreading misery in every action they take, in some cases that mental illness could be avoided by proper nutrition and less chemicals in the environment. In other cases there is nothing that can be done but for us to make the choice to remove ourselves from their presences. What choices will you implement in your life right away?